A young boy learns about the power of the written word in this fantasy from French animator Dominique Monfery. When their offbeat Aunt Eleanor passes away, two children are willed gifts from her estate. 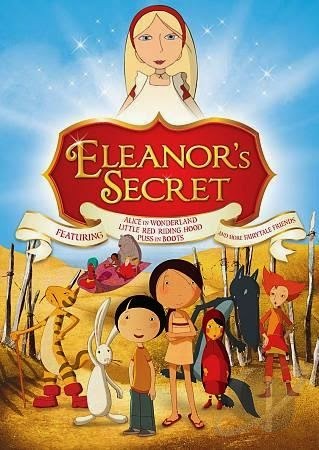 Angelica is given an antique doll, while Nat receives the keys to his aunt's secret library, which contains rare first editions of some of the world's best-known children's books. Nat has no interest in reading and hasn't bothered to learn how; he feels like he's been gypped, and lets his folks sell the collection to the mysterious Mr. Pickall in order to pay for repairs to their home. But Nat learns there's more to the library than he thought when suddenly the characters come to life and tell him that unless he can read a magical incantation printed in one of the books, the characters will vanish and their stories will be lost for all time. After an encounter with a devious witch, Nat is transported to the world of the fairytale characters, and in cahoots with Alice From Wonderland and The White Rabbit, he looks for a way to rescue the books from Mr. Pickall and keep the stories alive.